… like the house at 244 Wilton Road had been for decades. Arlene Skutch’s former house, 244 Wilton Road. 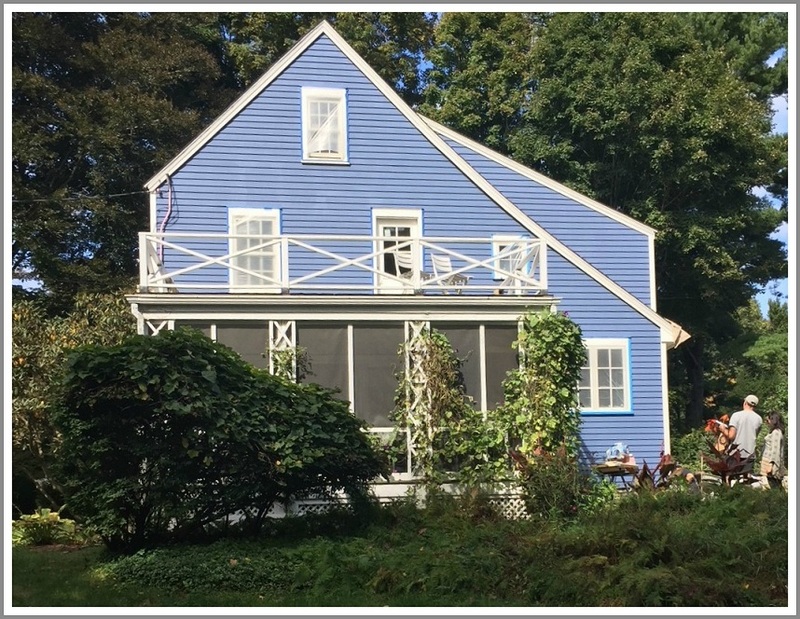 But the late artist Arlene Skutch’s home — the namesake of the “Pink House Painters,” as avid students at her nearby studio called themselves — looks pretty good with its new hue too. Maybe one day far in the future we’ll reminisce about people who hung out here, after it was painted this different color. “Blue Man Group” sounds pretty cool. This entry was posted in Arts, People, Real estate and tagged 244 Wilton Road, Arlene Skutch. Bookmark the permalink. 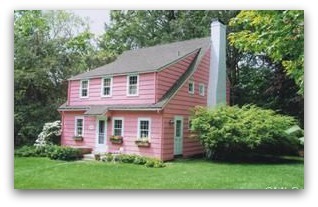 I have been a PINK HOUSE PAINTER and knew that a personal identity of the new owner would eventually emerge. Many of us still miss Arlene who was a true mentor and creative spirit for all of us. Thank you for honoring her. ‘ showcases Arlene and there is another hour video about her by West in the Library. So thrilled that the people who bought this little antique have chosen to preserve its integrity – no matter the color. I think Arlene would be so very pleased . But they have to know: It will always be the Pink House. A pleasant periwinkle of a blue … nice choice! I always loved the Pink Painters House. It was a landmark and legendary. But the new owners have done a wonderful job restoring this special antique home and I think the periwinkle blue is just lovely and has lots of character of its own. Well done!